This is my 2nd semester overview spread. 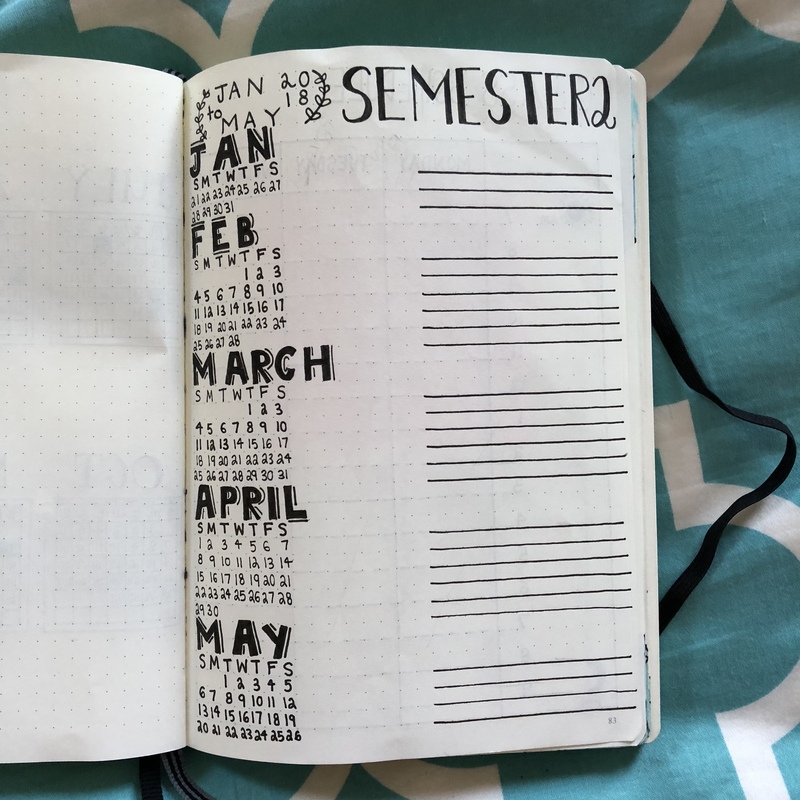 This is the same design that I usually use for my semester overview, but I changed the font of the months. This is me being picky, but I wish the months and dates were more centered. Looking back at the design, there’s a bit too much empty space in the middle. But I like how this spread makes it easy to look at all my class information and important dates in one place. It was helpful before, so I know I’ll be using it to check for upcoming assignments and tests. 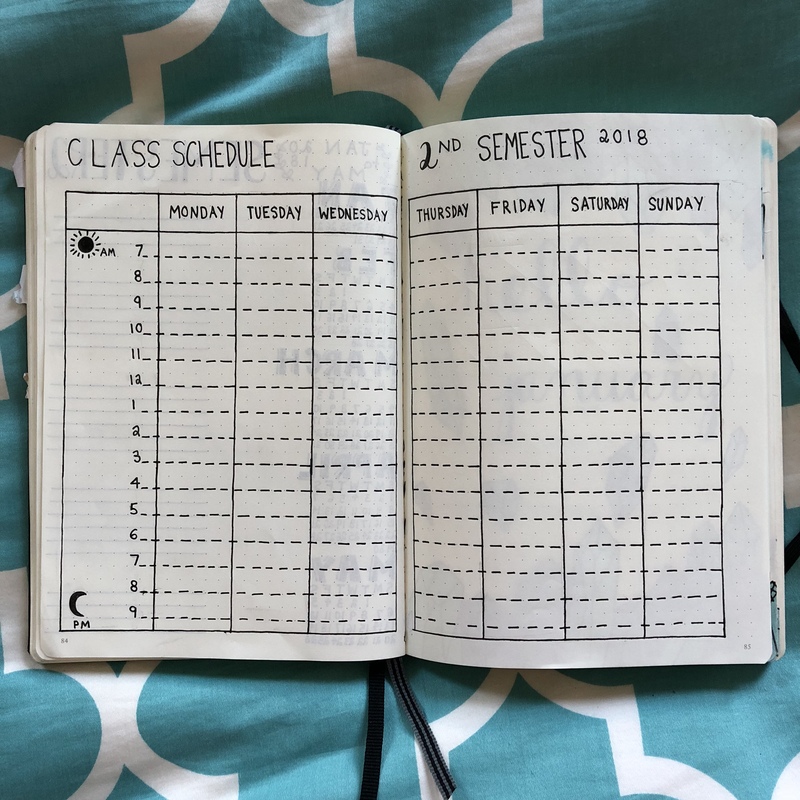 This is my class schedule spread for the 2nd semester, which was inspired by The SELF Scholar planner. 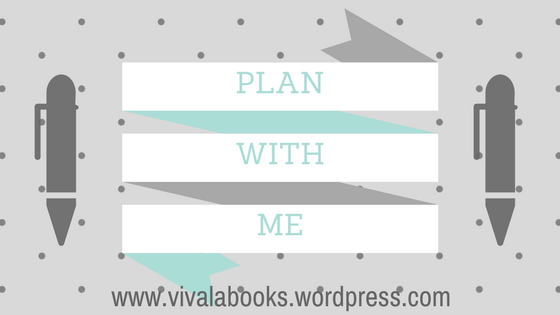 I really like the idea behind this specific planner, and how it really caters to one’s academic needs. But I wanted my own planner to be more personal. Also I have way too much fun with my bullet journal, since it’s a way for me to be creative and it’s super relaxing. I’ve done a variation of this spread in the past, but the layouts weren’t always the easiest to read. I like how this layout is simple and straight-forward. And I’m a fan of the hourly overview. 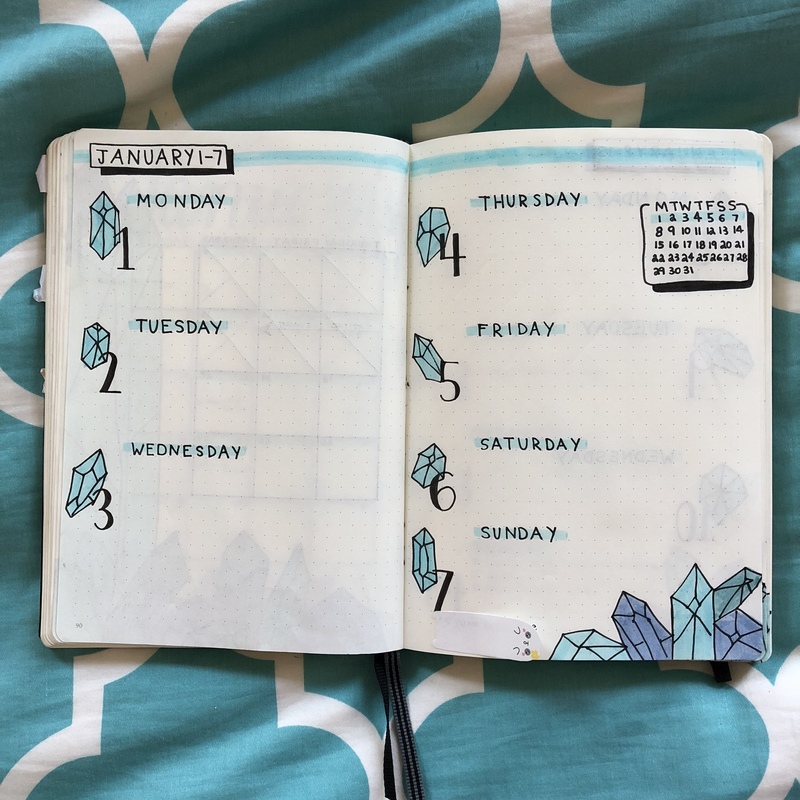 For January I decided to go with a crystal/gemstone theme, which was inspired by AmandaRachLee. At first I had a hard time deciding on the theme, but I found healing crystals to be appropriate for the start of a new year. And I love how soothing the blue color scheme looks. Plus it’s my favorite color! 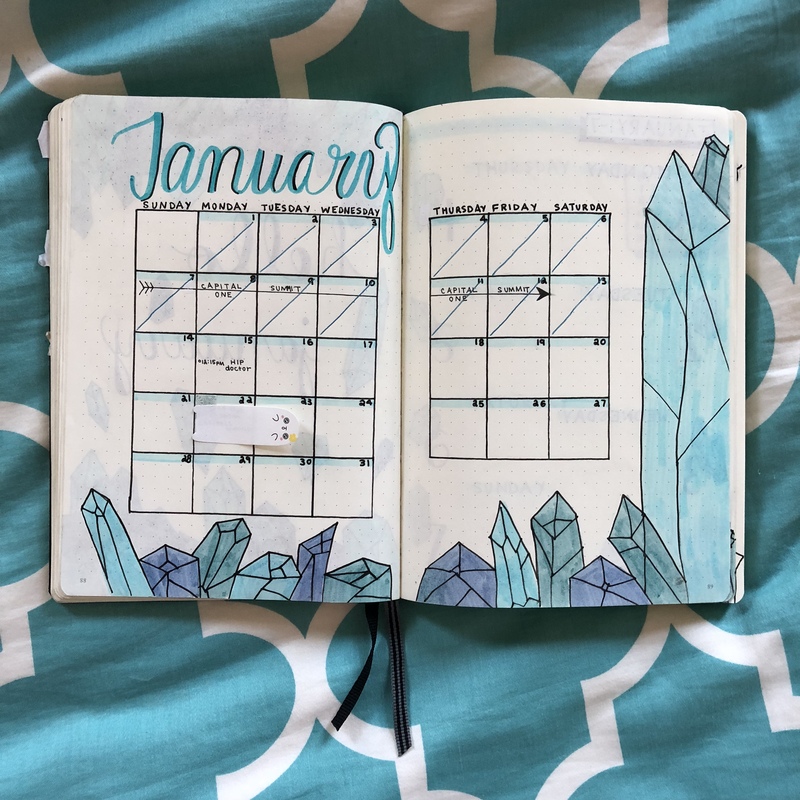 This is my January cover page, and I used Zebra Mildliners to color in the crystals. 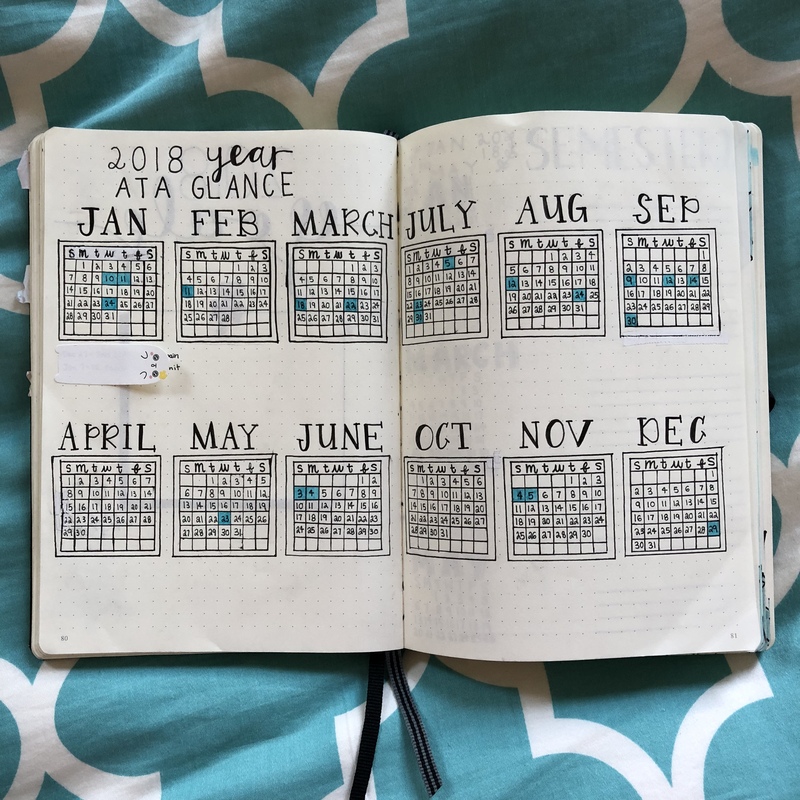 This is my January monthly spread. I have mixed feelings about how this particular spread turned out. I feel like the header could use some work, since it looks a little bland. Otherwise I like how the crystals border the calendar, and I’m a huge fan of the calendar-style layout as I’ve mentioned before. I tried my hand at some calligraphy with a Crayola marker, but I wasn’t super pleased with the result. I definitely need to work on my calligraphy, and I’m always so impressed by people who can do it so easily. I always have to try with pencil first. This is my first weekly spread for January. I decided to forgo my usual vertical weekly layout, and use AmandaRachLee’s. Since I wasn’t in school and had more time on my hand, it was easier to draw a more intricate and time-consuming layout. And I had so much fun drawing this creative layout. I also didn’t need a lot of room to write down my schedule, since I was mostly just chilling at home over winter break and didn’t have a lot to plan. 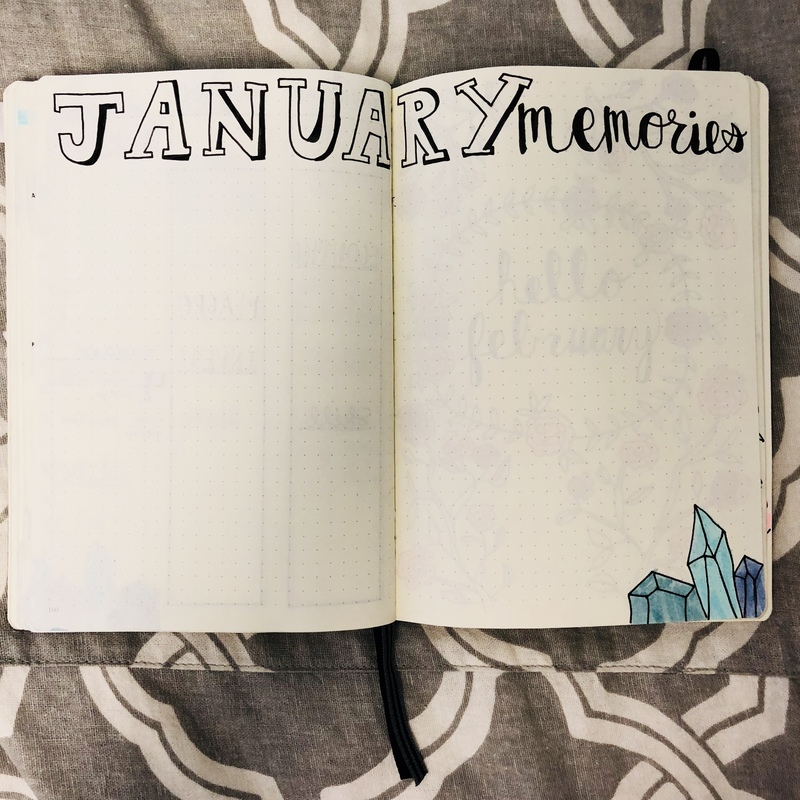 This is my January memories spread, which is always one of my favorite monthly spreads. 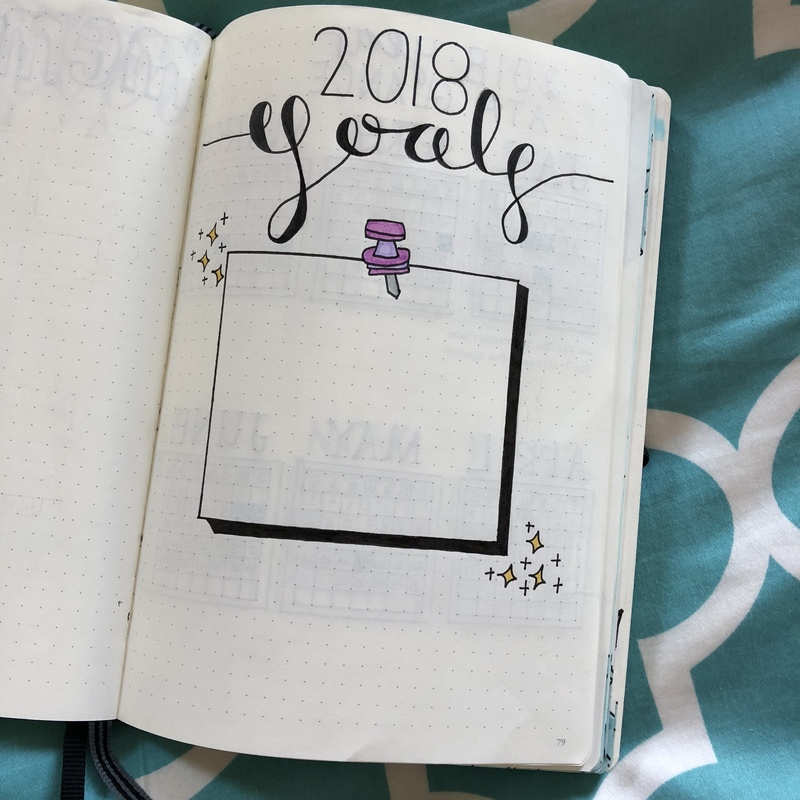 I love being able to fill this spread with memories from the month. It’s honestly so much fun being able to quickly review the highlights from every month. Plus my HP Sprocket Printer makes it super easy to print photos, and it almost feels like I’m scrapbooking. This is gorgeous!! I love it so much and your crystal drawings and your handwriting!!) is truly amazing.😍😍 I tried to bullet journal last year but it all pretty much fell apart, however I do want to try again sometime. I think you’ve done an amazing job setting yours up. Ahh! Thank you Cait! ❤️ You definitely should try it again! 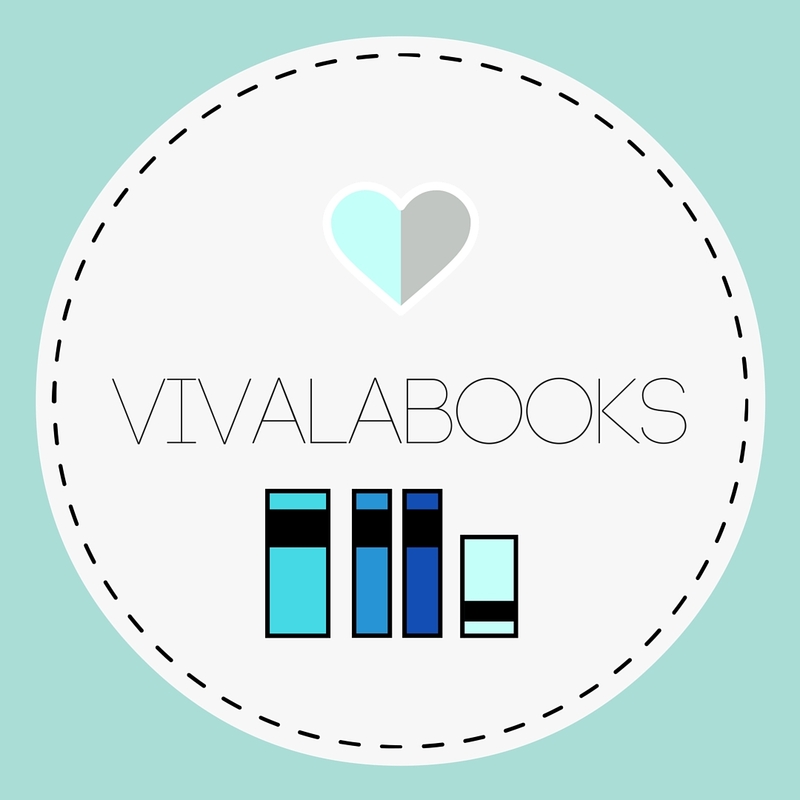 I love how customizable it is, and it’s such a great creative outlet. Thank you so much Kelly! So sweet of you! 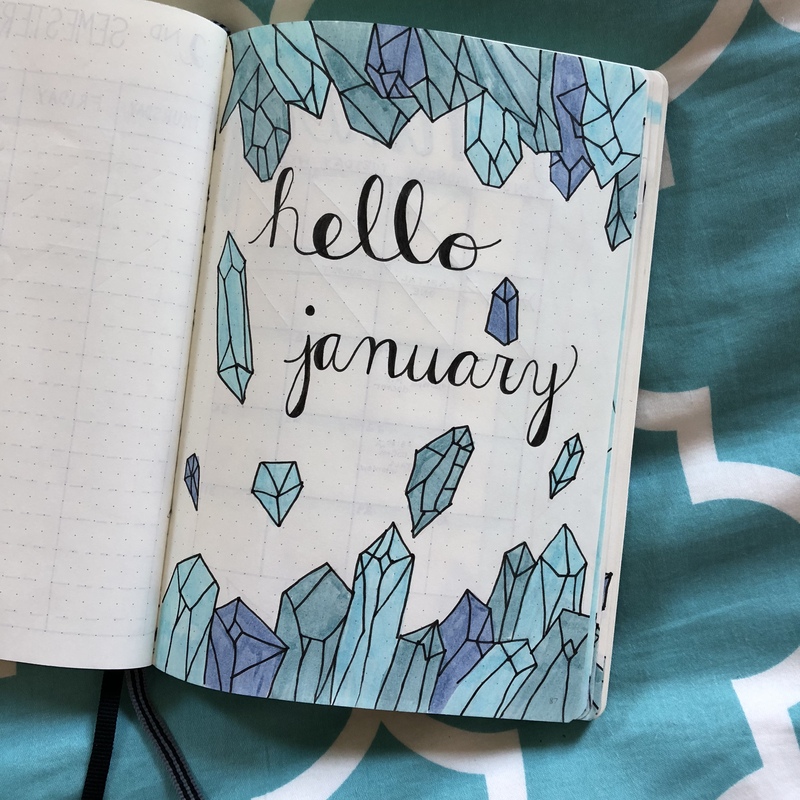 ❤️ I didn’t realize that about January, but super interesting about the crystals & moon. YES! Like who knew it could be so hard to make letter look pretty?!?!! So glad to hear that! And I’d love to see how you get creative!